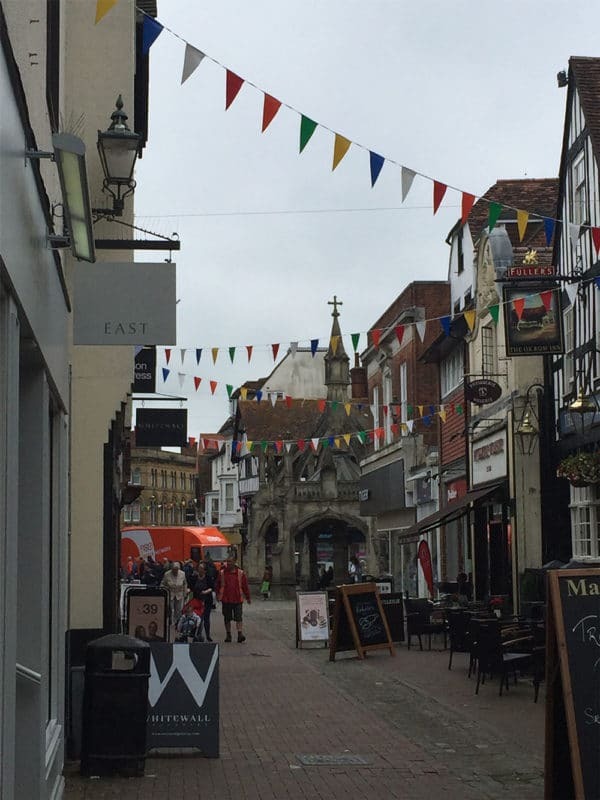 My top 5 recommended things to do in Salisbury, UK! 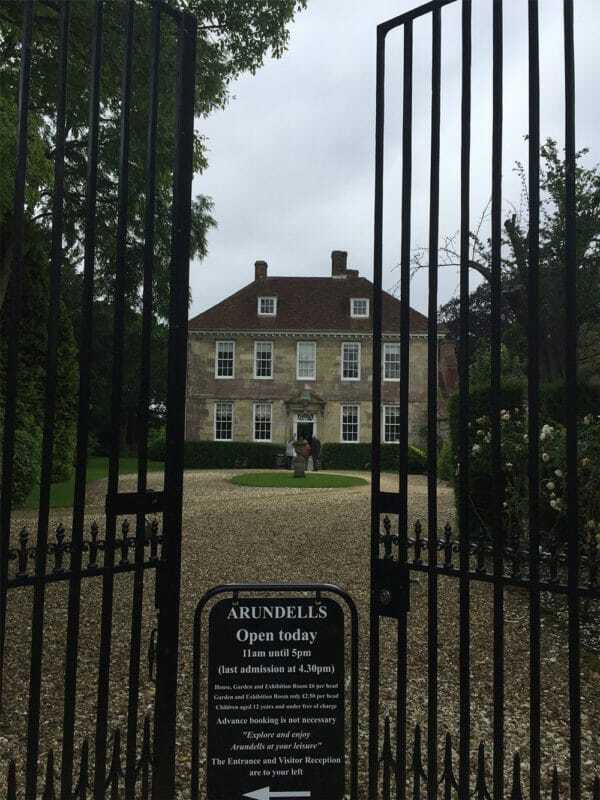 So much to do such as explore Stonehenge, High Street Gate, Cathedral Close, Mompesson House, Arundells, The Rifles Museum, Salisbury Museum, Salisbury Cathedral, Salisbury Market, The Poultry Cross, The Ox Row Inn and more! 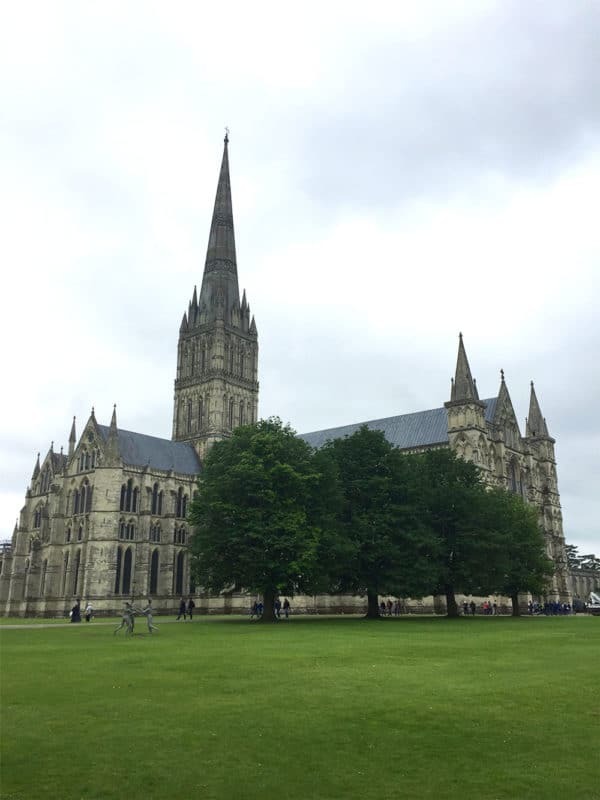 Hey all – Lindsay here again and I’m SO excited to share with you my top 5 things to do, see and eat in SALISBURY, UK!! So far, we’ve explored several things to do, see and eat in Oxford, UK and Canterbury, UK. 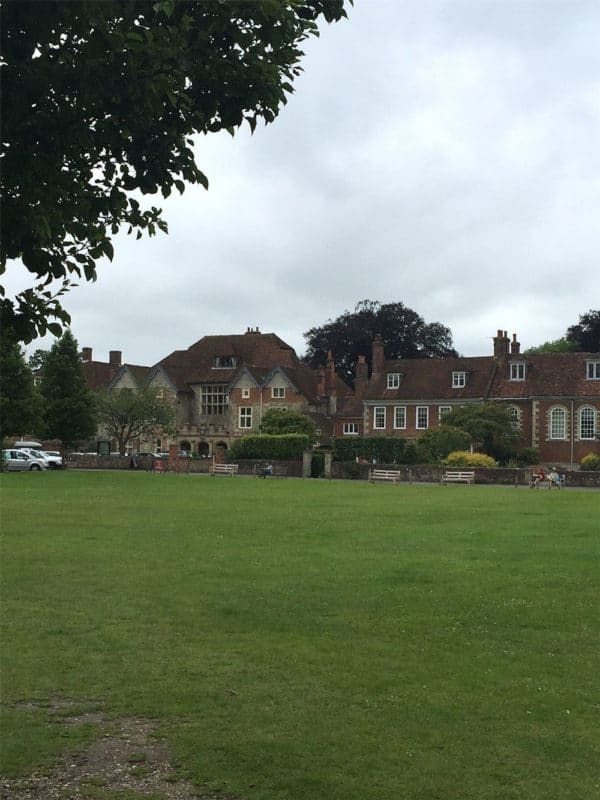 In today’s post, we are going on a Day Trip to…Salisbury, UK! There are so many things to do in Salisbury, UK, such as tours, sightseeing, family fun, and attractions! I have a personal connection with Salisbury. My grandfather, Lew Campbell, whom I adored and was very close to, served in Salisbury for 9 months while in the Army during WWII. He was stationed in Salisbury before leaving out of Portsmouth for his journey to Normandy where he fought on the beaches on D-Day. Let me just say this…to walk in the same town, see the same sites and share similar experiences, as he must have was a profound moment of JOY for me. Coming back home to share them with him about a year before his passing is something I will cherish forever. 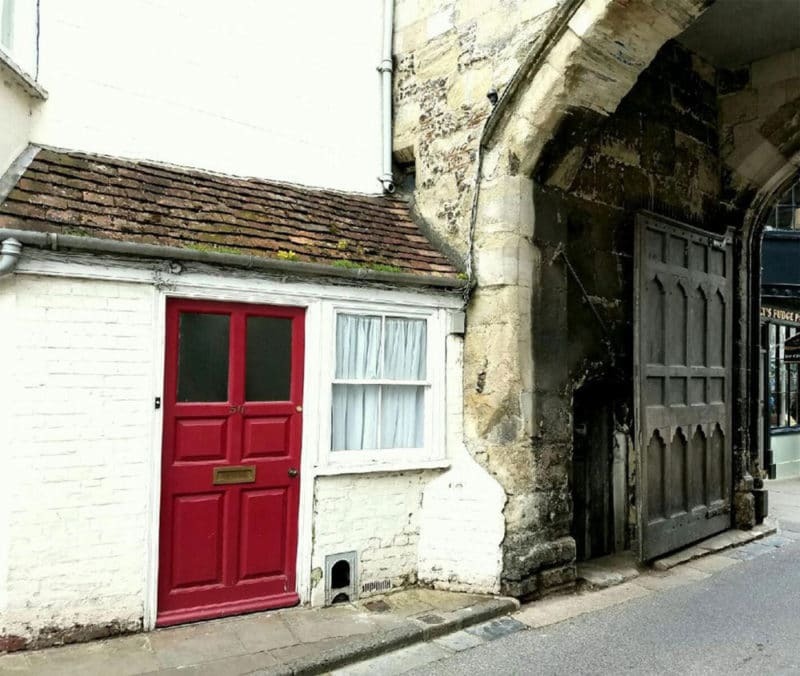 Aside from the personal connection, Salisbury is chock full of history and some amazing wonders to behold! So…when you’re in Salisbury, what is there to do? What sites should you take in? What grub should you grab? 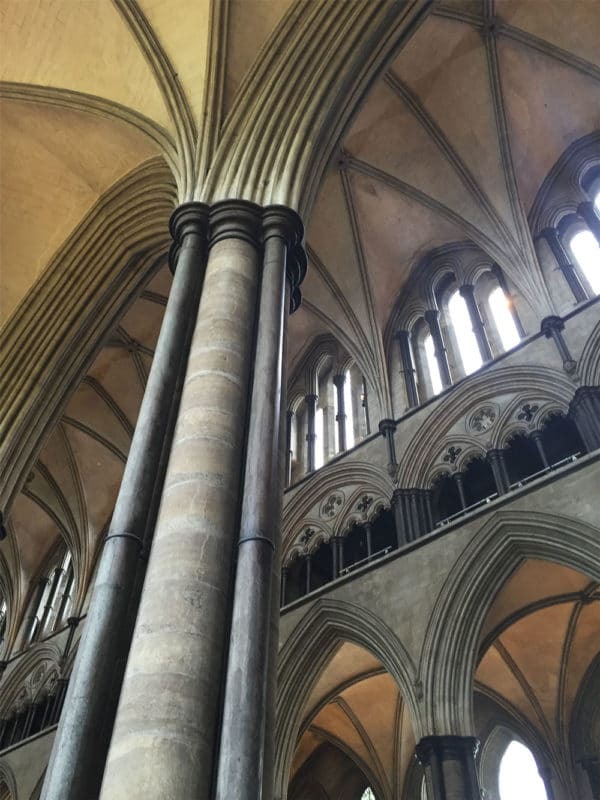 In this addition of Day Trips, I present to you…5 things to do, see and eat in Salisbury, UK! Before even diving into the actual city of Salisbury, I’d suggest taking in the wonder that is Stonehenge. This landmark is one of the most famous prehistoric monuments! It is said to have been built about 5,000 years ago and much of it is still standing today! That is nothing short of amazing! 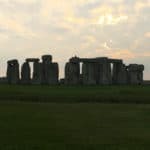 To get some more information about the history of Stonehenge, I would suggest visiting this English Heritage site. Oh, and try to enjoy Stonehenge around sunset…BEAUTIFUL isn’t it?!?! My husband and I took this guided tour that included Old Sarum (another historical landmark I would encourage you to read about! ), Stonehenge and the Cathedral. There was a beautiful red, double-decker bus that picked us up from the Salisbury train station. The bus took us for a short tour around the city of Salisbury on the way to Stonehenge and provided some great history about the things we were seeing. 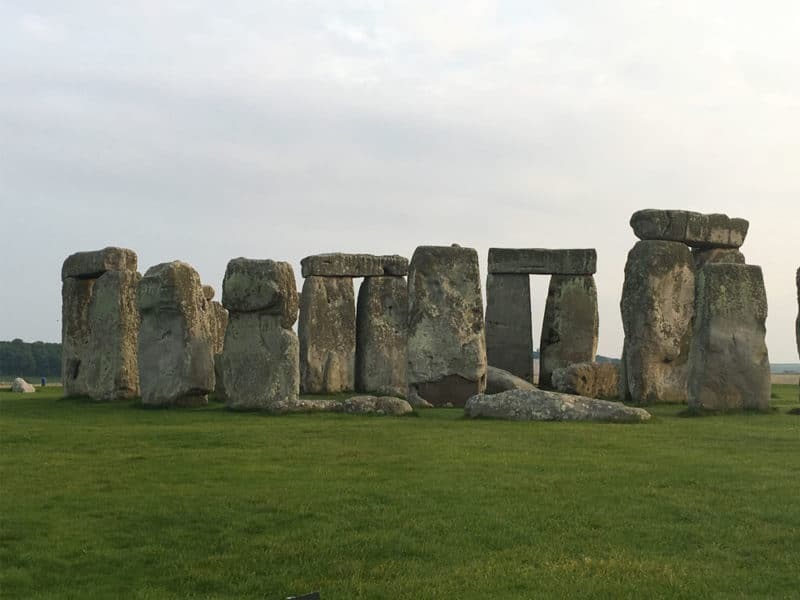 We were dropped off at the Stonehenge parking lot, picked up in the same place and then driven around Old Sarum while continuing to receive some great information along the way! When the tour was over, the bus dropped us off close by the Cathedral so we could begin exploring the next historical landmark! You do need to book your tickets ahead of time for a time slot. You need to bring the tickets with you and you have a 30-minute time slot and you’ll need to arrive during that allocated time slot. There is a bus that will take you from the visitors’ center to Stonehenge or, you can walk. The bus is about a 10-minute ride while the walk can be more like 30 minutes, depending on how fast you want to walk. You will not be allowed to touch the actual stones. I know…disappointing, but unless you pay extra money during the designated Stone Circle Access times/dates, you will be restricted to the perimeter of the Henge. 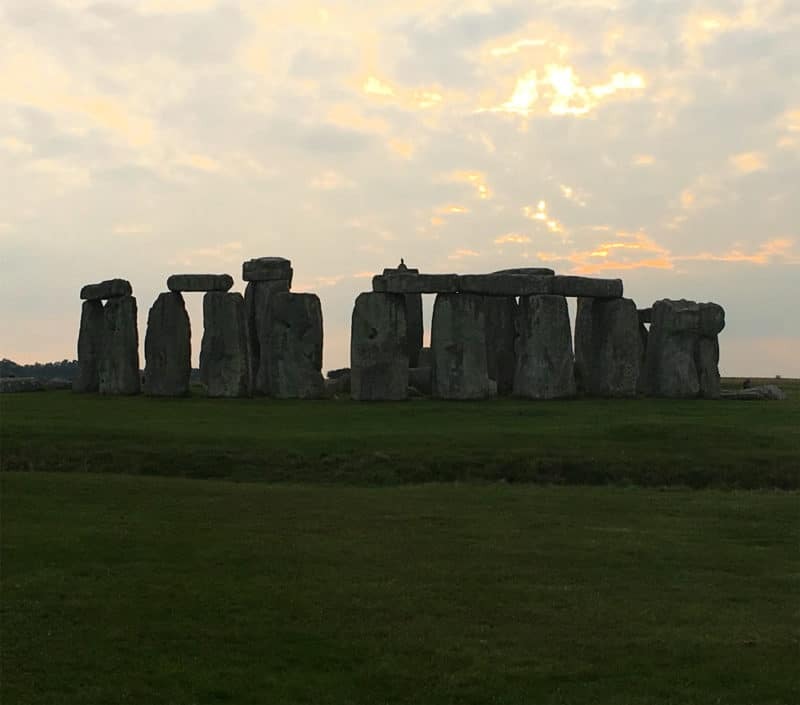 If you can, enjoy Stonehenge around sunset…BEAUTIFUL isn’t it?!?! If you are taking the bus tour, this is the area in which you will be dropped off. 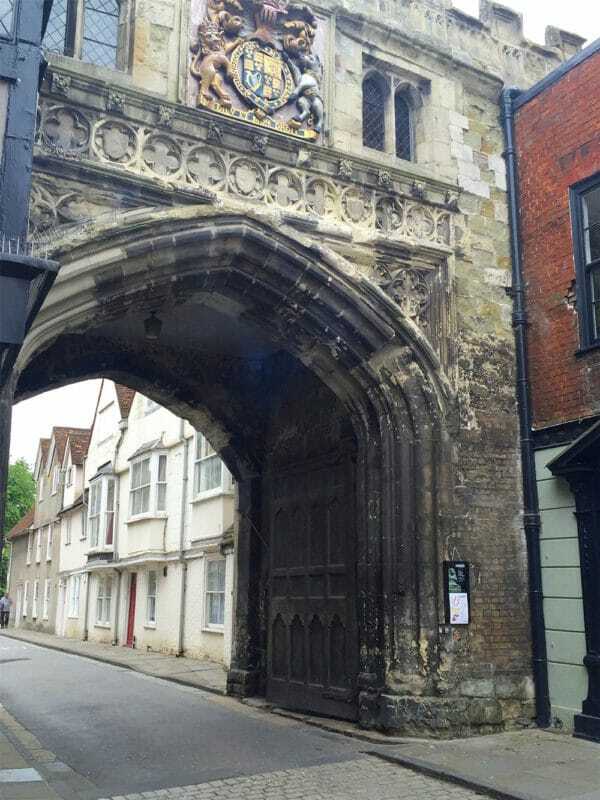 This is very convenient as it is one of the main entrances to the Cathedral Close. The High Street Gate is breathtaking! It was built between 1327 and 1342 and used to house a small jail. The details at the top arch of the gate are a site to behold and produce some amazing pictures! You definately want to spend some time in the awe inspiring Salisbury Cathedral! Once you are done wandering around the many sites of the Cathedral Close, make sure to pay a visit to the Salisbury Cathedral! 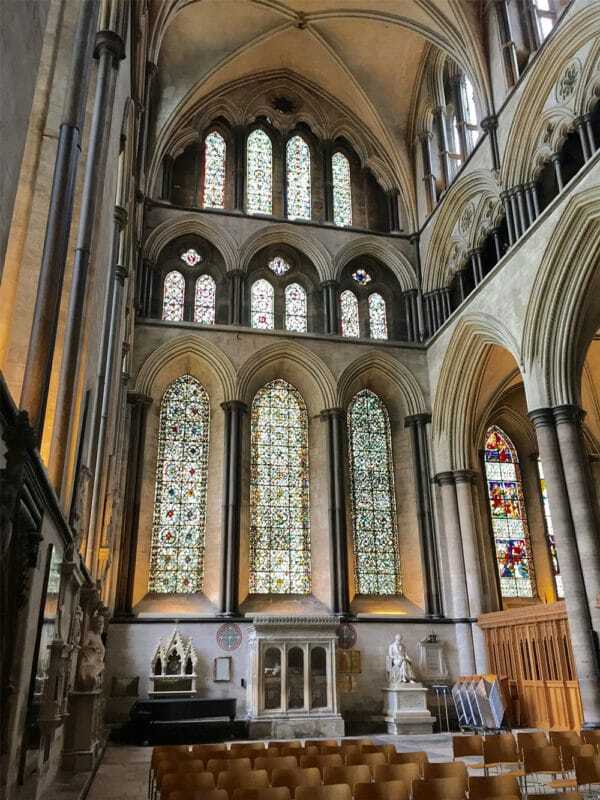 I’ve spent a lot of time in my travels visiting various cathedrals and Salisbury Cathedral is one of my favorites! 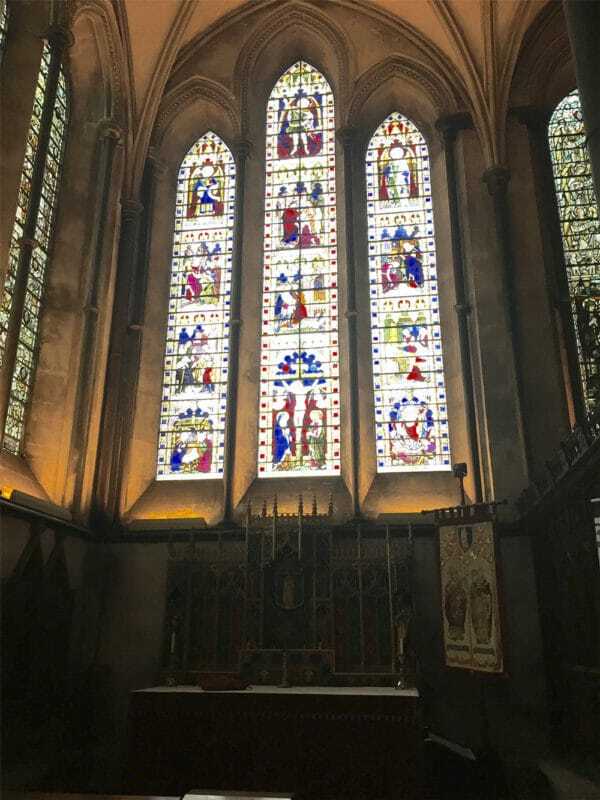 This was my husband’s first experience seeing a cathedral in the UK and he was stunned silent for the first 10 minutes upon entering. It’s THAT beautiful! The cathedral, as it stands now, has been there since about 1220 and was originally located at Old Sarum in 1092! There is some extensive history here! I would suggest visiting this site to get some additional information about the cathedral itself before visiting. One of the most interesting things about this site is that it currently houses an original page from the Magna Carta, issued in June 1215 by King John! This document has many clauses within it that helped define England as the country it is today. It’s truly a wonder to behold! Starting to get hungry after all of your walking? If you happen to be visiting on a Tuesday or Saturday, you are in for a treat with this market! While I didn’t get to experience it myself, I hear it is really a fun and interesting way to spend a few hours! With booths abound filled with cheeses, eggs, meats, vegetables, fruits, sweets and many other goodies…you are bound to find something to cure that grumbly tummy! The Poultry Cross – This landmark is the only one of four that used to stand in the center of town. It was originally constructed in the 14th century and then added to in the 18th century. This piece of history marks the site of the current Salisbury Market. 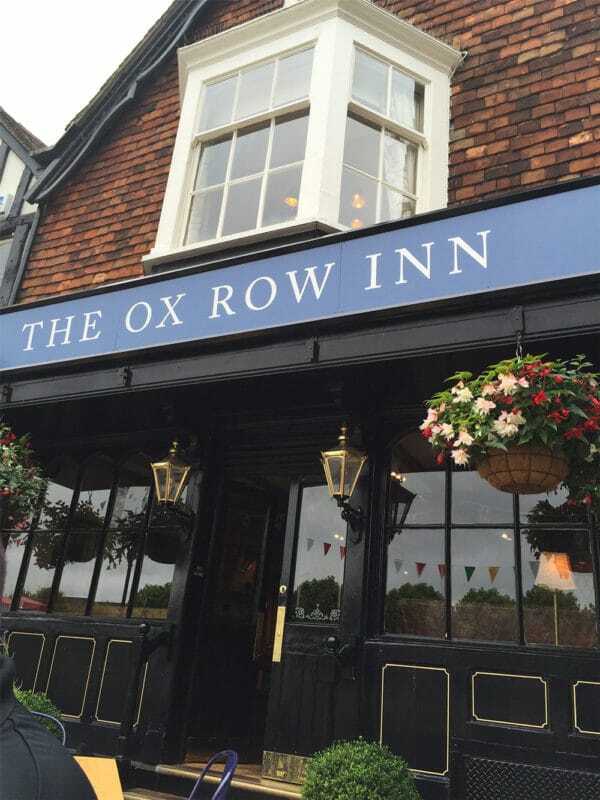 The Ox Row Inn – My husband and I had lunch at this pub while we were in Salisbury. We ate outside and had a great view of a large town square where many come to gather. It is amazing for people watching! The food was great and there was a wide variety for any taste. Enjoy it with a cold pint of cider to top off the experience! Salisbury, UK is such an AMAZING city to visit! There are so many activities, tours, sightseeing, attractions! It’s a great place for some family fun! 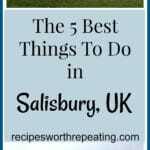 I hope my 5 Best Things To Do, See and Eat in Salisbury, UK helps you plan your next Day Trip to Salisbury! If it did make sure to SHARE my article on Facebook, Twitter, Instagram and Pinterest! Keep a look out for our next destination coming soon! Until next time, here’s to continuous travel and adventure! Happy Travels!